A glorious sunny morning greeted the players for the final league game of the season. The game started with both sides probing through the midfield. York, distributing the ball from midfielders Ellis Cattaneo and Alfie Lewis using both wings to create shooting opportunities. Cattaneo found Mathew Dawes on York’s right wing, who fired a cross into the visitors’ penalty box. Joe Sidebottom helping the cross on with a deft touch, finding Archie Colley who neatly diverted the ball into the back of the net. 1-0. Spen Valley didn’t heed the Mathew Dawes warning on the 1st goal. Dawes chased down a ball destined for a goal kick, and keeping it in the field of play. Driving into the penalty box and chipped the ball to the awaiting Cole Gayles at the far post. A neat header and finish from Gayles doubled the lead, 2-0. The 1st half carried on in this vein. A developing partnership was working well between Oliver Brooks-Humphrey and Dawes. Crosses from Dawes and Callum Thorpe creating shooting opportunities for Colley, Sidebottom and Adam Guilfoyle. The Spen keeper making an outstanding save preventing Jamie Grainger adding his name to the score sheet. Spen’s defence finally kicked into gear and prevented York from improving the score line.H T 2-0. 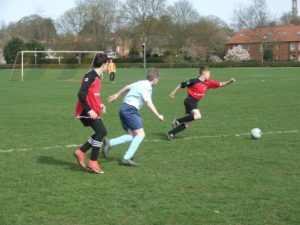 In the second half Spen Valley took advantage of the breeze and a long pass from their own half dropped the ball behind the York defence, the attacking striker was allowed to get a foot to the ball and chip York’s keeper, Noah Ellis, to get on the score sheet. 2-1. The game was now balanced with both sides creating opportunities to score. Grainger using his speed putting pressure on the Spen Valley defence. 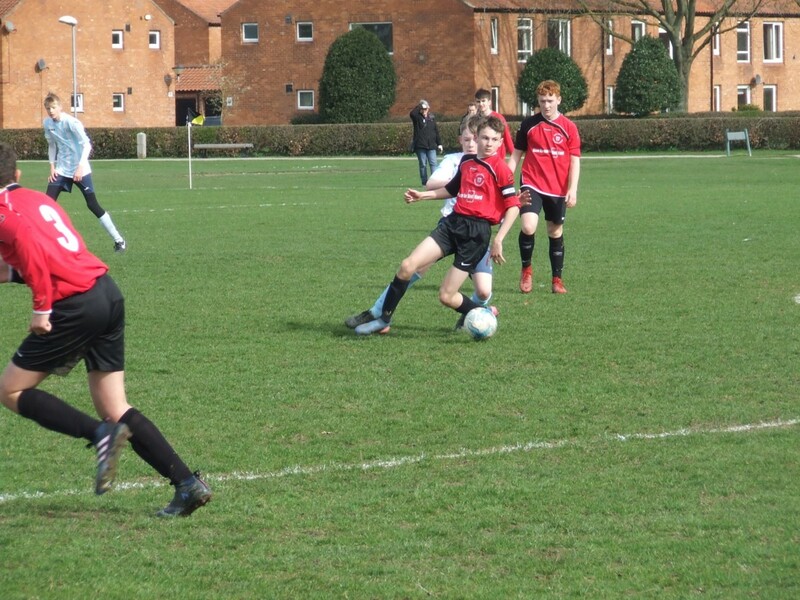 The host’s defence of Will Hotson, Evan Turbine, Tom Coy and Jacob Batty were nullifying Spen’s attacks. The game was heading for a well-deserved victory for York. Bit Spen Valley had not given up, one last push into York’s penalty box, a tangle of legs which left a Valley player lying on the ground. A penalty was awarded and the spot kick was neatly put away and evened the score. 2-2. Many thanks to all players for their efforts this season and to all parents for their support.